Elouise Marie Turner was born on July 26, 1927 in Roosevelt, UT to Katie & Orson Nielson. She was the youngest of nine siblings. On February 24, 1950 she married Robert Turner. They had four children-Mary Jean, Vivian, David, Kenneth, 12 grandchildren and 18 great grandchildren. Elouise spent a great deal of time in various business adventures with Bob in Vernal-Turner Building Supply, Big Bob’s Belly Buster, a car dealership, car wash, trailer park, their farm, as well as building multiple homes in the area. Elouise was very active in the Church of Jesus Christ of Latter-day Saints. She served in various callings throughout her life. Elouise and Bob served a mission in the Norman, Oklahoma area. 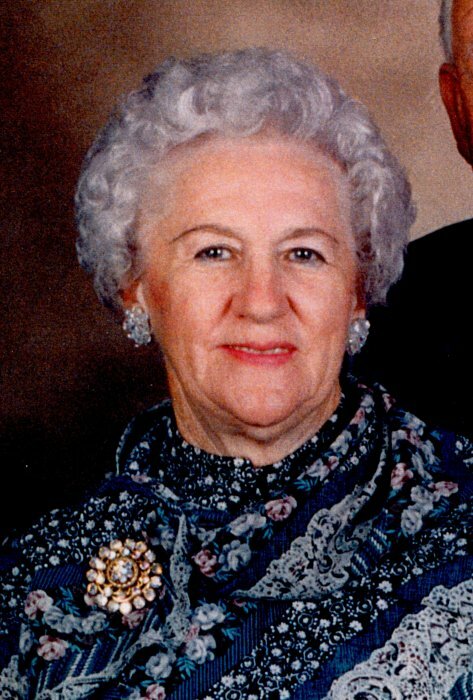 She served on many Community Boards and Committees over the years-Hospital, School, and Political. Elouise enjoyed gardening and cooking for her family and friends. Elouise passed away on Wednesday evening January 16, 2019 after her health declined after a 91 year journey. She will be deeply missed by all. Funeral Services will be conducted on Tuesday, January 22, 2019 at 11:00 A.M. One Viewing will be from 9:30- 10:45 at The Naples Chapel of The Church of Jesus Christ of Latter Day Saints. (2313 South 1500 East) Burial in the Vernal Memorial Park.